It is the same spirit that has been unleashed against the Church in this hour to remove leaders, prophets, pastors, parents, teachers and all believers from their seats of authority and silence them in their spheres of influence. Yet there is hope.We need to first understand that God, at His very core, is a God of justice who vindicates His people. The spirit of anti-Christ is a destructive force in operation against the Church to remove it from a place of significance and to silence its voice. It works to wear down the saints then devastate and destroy them. It comes in the form of persecution through criticism, judgment and offense operating through other believers, Christian leaders and secular entities alike. It seeks to silence believers from operating in their realms of influence. Like a battering ram, it has been set in motion with a constant barrage of harassment, whittling down the fortitude and stamina of its intended victims. It can come in the form of verbal, emotional and even physical attacks that, with each new blow, is intent on removing hope. With its tidal-wave intensity, it has caused many to succumb; many have chosen to step down and walk away rather than continue the fight. 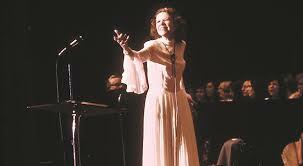 It almost happened to Kathryn Kuhlman. It did happen to her husband. It is a word of warning for believers today, so it doesn’t happen to us–-to you. It was very early in Kathryn’s ministry that she encountered such an overwhelming attack. It came from the very people, and city leaders who had formerly celebrated her, who now betrayed her and turned their backs on her. It almost silenced her. Shane Philpott, pastor of Christian Fellowship Church in Mason City, Iowa, is the author of the new book, “Kathryn Kuhlman: The Radio Chapel Years,” (Harrison House, September 2015). His research into this brief period in Kathryn’s past reveals what has been largely a mystery for the past seventy years. There were numerous assumptions but few actual facts of that dark season in her ministry. Yet what she endured then is significant and relevant to what is happening to the Body of Christ today. “The relevance of Kathryn’s story came to light in the fall of 2005, when a burden for our city was heavy upon my heart. Our church is in the same city as Radio Chapel was–the church Kathryn and her husband pastored all those years before. “My congregation and I had been experiencing very different and intense times of prayer in our services. God was speaking. He had our attention and we were listening. Every church service brought with it an ever-increasing expectation and anticipation in the hearts of our members. It was tangible. Like a spiritual crescendo, there was a sense that something was building and was about to crest. Then it happened. At the close of our midweek service while the congregation was deep in worship and prayer, I felt an urge in my spirit, a burden to speak and release prophetic words from God. It was powerfully strong! Almost immediately, prophetic revelation broke forth, setting the stage for the remarkable journey upon which I would soon embark. This was the prophetic word that started Philpott on a journey that led him to historical news accounts buried in the city’s archives. It would also lead him to the one couple who served alongside Kathryn and her husband during those turbulent years. He was the only man ordained by her ministry during that season, Reverend Keith Williams. He and his wife, Mary–-in their early nineties at that time––were still alive and ready to share the story and mystery hidden all those years. And so is the importance of this word for today. It is about restoration for those who will hold on, weather the storm and battering ram of public accusation, to receive vindication, resurrection and healing. It is also a word of warning for those who become weary and are on the verge of letting go. Do not walk away from your call and seat of authority. For the road we choose after the attack is indeed a choice, albeit not an easy one, for there is a price that is paid. Pastor Philpott began to share the details of the attack Kathryn endured and the price she paid seventy years before. 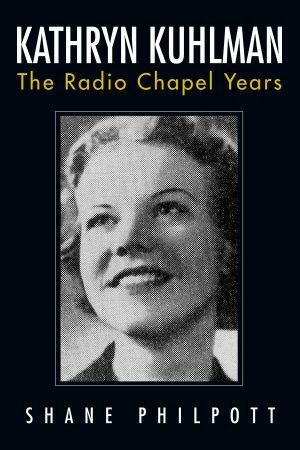 “From July 1937, through May 1939, Kathryn, who was in her twenties then, was known as the ‘Girl Evangelist.’ At that time she both ministered at and presided over Radio Chapel, a state-of-the-art facility and the first ‘mega church’ built by the man who would become her husband, Burroughs Waltrip. In his own right, Burroughs was a prophet and apostle with a unique anointing. The joining of their lives and ministries resulted in a grand ministry of evangelism, revival, and salvation located in the Heartland of America. “Radio Chapel was a church unlike any other. It was pioneered in Mason City, Iowa, in 1937, and quickly became a powerful ministry base of revival and one of the most spectacular non-denominational churches to grace the American landscape of that day. “Burroughs dreamed of bringing salvation to thousands through his dynamic and unique end-time preaching. He was immediately embraced by the people, city leaders and pastors of the city. A petition was circulated and signed by over 500 people requesting that he stay in Mason City to continue a permanent work for the revival that had begun. “Kathryn, meanwhile, was making massive strides in the Pentecostal movement as the passionate, yet eloquent pastor of the famed Denver Revival Tabernacle. For a brief time, Burroughs and Kathryn, who would marry in 1938, took America’s Heartland by storm and shook its religious foundations. These were some of the earliest, most obscure and misunderstood years of Kathryn’s ministry,” Philpott explained. “At the height of Radio Chapel’s success, the church was conducting services six days a week, broadcasting daily over the radio, and hosting both national and international speakers. Attendance at these services could run upward of one thousand people per night with dozens of decisions for Christ following every meeting. Radio Chapel published its own monthly magazine and routinely pursued evangelistic outreaches in the surrounding states and country. “Yet its spectacular beginning was eclipsed only by its thunderous collapse,” Philpott continued. “Saddled with immense debt, a lawsuit, governmental opposition, strife from surrounding churches and souring public opinion, it was over as quickly as it had begun. All of this transpired in a short span of just twenty-three months. It is well known that the marriage between Burroughs and Kathryn later ended in divorce in April 1947. After their divorce, Burroughs quickly faded into obscurity, eventually disappearing and never to be heard from again by either family or friends. As for Kathryn, she went on to achieve international honor and recognition as one of the most influential faith preachers of the twentieth century,” Philpott finished. Kathryn chose one road, her husband another. But what transpired in their lives from those decisions reveals important lessons that we would be wise to heed today. It leads us back to the age-old question, why do bad things happen to good people? Why does God seemingly stand back and allow these attacks? In reflection of the Radio Chapel years and the ministry of Kathryn Kuhlman and Burroughs Waltrip, how did such a dynamic beginning go so incredibly wrong? Was it judgment? Sin? Or something entirely different? The answer to that question is important, because we can see that same attack has been played out again and again in ministries over the years since, intent on removing leaders from their destinies due to a combination of human error, pride, jealousy and vicious demonic attack. For Kathryn and her husband, after experiencing an incredible anointing, numerous salvations and miracles followed by a relentless barrage of attacks, they were sent packing as a foreclosure notice was nailed to the door of their church and it was padlocked shut. The dynamic ministry of miracles was over and Kathryn and her husband left the city that had once embraced them, never to return. Their marriage lasted another eight years but ended quietly in divorce. The difference in what transpired afterwards reveals the importance of our choices in walking through the storms. For one resurrected to shine even brighter than before. The other faded into complete obscurity—not because one was greater than the other, however. “It has always been the nature of hateful people to attempt to crush the gifts and callings that God has entrusted to His servants, and it will continue to be so until Christ’s return,” Philpott continued as the conversation turned toward the relevance of what is happening to the Church today. “The Apostle Paul wrote, ‘Finally, brethren, pray for us that the word of the Lord will spread rapidly and be glorified, just as it did also with you; and that we will be rescued from perverse and evil men; for not all have faith’ (2 Thessalonians 3:1-2, NASB). One of Satan’s most effective methods for hindering the spread of the Gospel is to use faithless people to attack and slander the efforts of God’s preachers. The overwhelming opposition that Burroughs Waltrip and Kathryn Kuhlman encountered, both inside and outside the walls of their own church, successfully thwarted the spread of the Gospel in that area for quite some time,” Philpott stated. “As a preacher, it must have been a horrible thing for Kathryn to behold false brethren who would side with the enemy in order to reject and betray her. Had she succumbed to that assault and buried her talents in shame, the world would have never been exposed to her great faith and passion for Jesus Christ. However, like the proverbial Phoenix that arose from the ashes, Kathryn did just the same by overcoming the adversity and dishonor that visited her life. She discovered that rejection and betrayal in one city did not equate to rejection and betrayal in the rest of the nation,” Philpott concluded. Kathryn’s husband, however, did not walk the same road of vindication or resurrection. In fact, years later private investigators were hired by his family to try to locate his whereabouts. Burroughs chose a different path, that of a recluse, refusing to open the door again to such personal attack. In doing so, he abdicated his seat of authority, abandoning his call and destiny. The only evidence uncovered of his existence afterwards was found in Kansas City, Missouri in the mid-fifties where he was working as a salesman for concrete burial vaults for caskets. “What a tragic example of real life following spiritual precedent,” Philpott commented regarding the turn in Waltrip’s life. Waltrip disappeared again after that. When or where he died remains a mystery. You may have already encountered this forceful spirit of destruction against your family, your ministry or your business. Its power to demolish has been unleashed even in the Church to remove the prophets and the prophetic word. Believers who have chosen to use their voices have been cast out and forced to stand alone and yet there is One who brings His Spirit to refresh, re-energize and rekindle. All across the world, the landscape is dotted with the light from their candles. They are the Remnant. Those who have allowed themselves to be restored after the attack. To stand strong. To be a voice. It is time for believers to unite together rather than fight against one another when these storms rage. 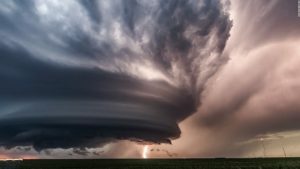 Rather than taking the position, “Well there must be a reason this is happening,” shouldn’t we take arms together and say, “I will stand with you in the storm. Let me link arms with you and we will fight together”? Take courage. The time has come. Don’t abdicate your seat of authority in your realm of influence. Allow God to restore it.